This quote (above), written by Nate Freeman of Network People in Largo, FL, appears on the comments page of my blog – events work, but only when done with conversion in mind. This morning I had the privilege of meeting with various resellers from the US to talk about demand generation and exactly what it is that differentiates success from an expensive lunch meeting. 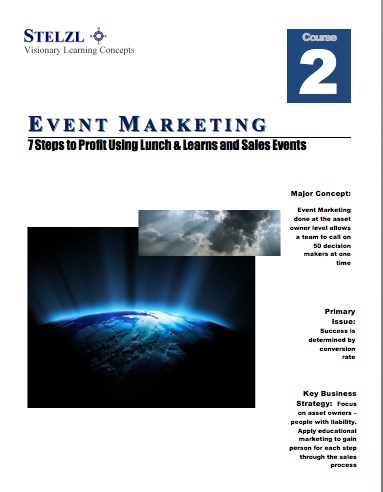 I covered the seven steps presented in my most recent book, Event Marketing, 7 Steps to Profitability Using Lunch & Learns. One of those steps, and the one asked about this morning, involves using the right speakers – without the right speaker, you’ll just end up with an expensive lunch. I simply said, “It doesn’t really matter to me who speaks – in fact, I don’t even have to speak at this event. The only thing that matters is conversion. Will more people move from the Attendee box to the Doing-something-about-it box if you speak or I speak? At the end of the day, the only thing that matters in this event is conversion between these two boxes.” It would be rare for someone to actually buy a product or service right there at the event, however , converting them to some sort of assessment or strategy session is not that hard given the right message and the right people group. In fact, the length of the meeting, the location, the food…every decision we make should be based on maximizing conversion. Nothing else matters. When the vendor heard these words it finally made sense – he had never thought of it quite like this. From there we stopped worrying about who was doing what from an ego standpoint and started talking strategy – what will bring in the right audience and what will yield the highest conversion rate? You can find more great tips in my ebook – or wait for the recording link on this webinar to be announced. We’ve all been to lunch & learn events…most of them seem to be a waste of time. Rarely do I meet a reseller who can tell me their actual return on investment on these events. JMF (Joint Marketing Funds) is drying up for many companies simply because resllers have not produced the required results. Yet, over the past 8 years, marketing events have produced more business than anything else I can point to – when done correctly. 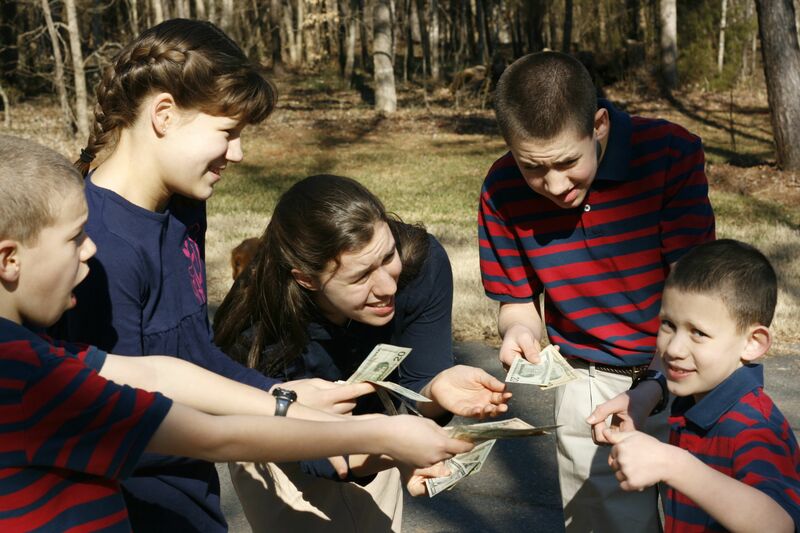 Traditional selling has expensive sales people driving across town, and many times out of town, for a single meeting. Half the day, and sometimes an entire day spent, just to find out the client is not ready, or is looking at a cheaper option. There has to be a better way – an there is! Who to invite – but more importantly, how to get them there. This is not theory – I’ll show you exactly how we are getting the right people to an event. Imagine having your prospects come to you! How to create an offer they can’t refuse. There is only one thing an economic buyer will buy without consulting their IT department. I’ll show you what it is and how to build it. What to present. I see these events with all kinds of presentations and speakers. There are only a few things that will entice an executive to leave their office mid day…I’ll show you what to present, and how to present it. Marketing – most of the event descriptions out there are boring and ineffective. That’s because we are taking the wrong approach. This book shows you how to market an event in a way that will grab the attention of business leaders. I will show you how to guarantee three meetings with an economic buyer – how can one event guarantee three meeting? Well, you’ll have to read the book to find out. The follow up program is where your return on investment really comes in. If you fail to do one important thing, your event will fail. I will show you who to call, how to call them, and what steps to take. More importantly, I’ll share with you a secret that will multiply your business far beyond any event you’ve ever seen. But wait – there’s more. I am also planning to conduct an online workshop using this material. I want every reseller out their to get this. I know their is a better way to approach the market. This is my passion – to create something new; to think outside the box. My hope is that this book will inspire you to really grow your business this fall. The book is nearly complete, and since this one is an ebook, I won’t have to wait on printers and proof copies. Stay tuned…I’ll be announcing release dates shortly! (You might have to turn up your volume on this – the audio is weak)…Why do some deals look good, then stall out? In this short clip I explain what it is that makes deal justification strong, and where things fall apart. I invite you to share your comments and experiences. VAR History Part II – What is your real business about? The middle man’s life expectancy is much shorter than you think! If you are still defining your business in terms of the products you sell, you may be headed for disaster…just calling yourself a consulting a company doesn’t make you one, you’ve got to start acting and modeling yourself like one to succeed in this market. In 1995 I was working with a small group of guys to establish a profitable, strategic business in systems integration, support, and services. One of the most important investments we ever made became known as the Park Hotel meeting. At the start of each quarter I set aside an entire day with my leadership team to work on the business (rather than in the business). As the company grew, it became more and more difficult to set aside this time, but we did it anyway. We set the date for our next meeting while in the current meeting, picking a date that worked for the group. This date was written in stone – it was non-optional. We talked about strategy, personnel, futures, profits, ideas, etc. Things that would make our business not only work, but work well. Looking back, those four days were worth every minute. We could bill or sell that day, however the plans we set in motion multiplied the profits of our company. If you’ve never done this sort of thing, I highly recommend it. One of Rockefeller’s habits includes this sort of planning and strategy time. In fact, many great leaders did this – why do we have such as hard time stopping our wood cutting to sharpen the saw?